In comics there's no fan base more vocal than the lovers of Marvel. In the month of Valentines the subject of their affection turns the action and adventure up another notch, but still remembers to slip in a Valentines Special to all those who hold the 'House of Ideas' in their hearts. Here's '6 Shots' of the best Marvel cover art, set to cause 'love at first sight' this February. 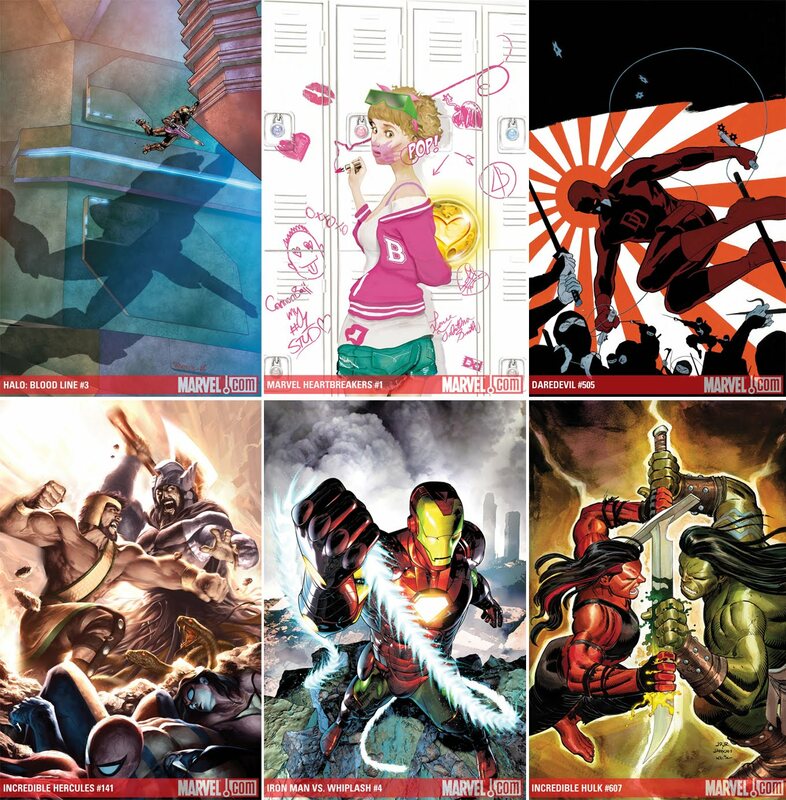 ARTISTS AND TITLES (Clockwise from top left): Francis Portela (Halo: Blood Line #3), Mike Del Mundo (Marvel Heartbreakers), Paolo Rivera (Daredevil #505), Alex Garner (Incredible Hercules #141), Brandon Peterson (Iron Man vs. Whiplash #4), John Romita Jr. (Incredible Hulk #607). To see the full range, flip over to the guys at Newsarama. It's definitely one that'll stand out on the racks Rob!